just after christmas i was sitting wondering what to do and then it came to me re-decorate the toy-room (the sewing room) good idea, huh? 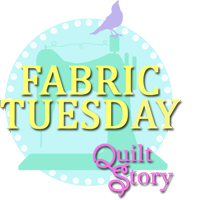 so i started stripping the wallpaper (tee-hee) and moving all my fabric and sew-y stuff to get ready for painting - heads up! get ready for a picture heavy post, but sure everyone loves pictures!! 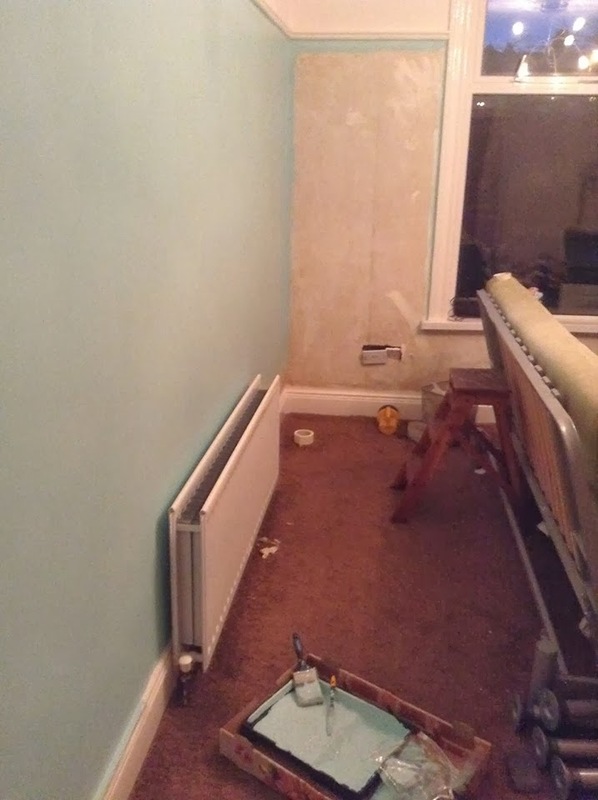 this is what i found when all the wallpaper came off, it's 24/2/1928 and it says "papered by jack morgan painter and decorator 'something i can't read' connswater belfast"
here is the only before picture i have, the room went from being blue to a slightly different colour of blue, are you ready to see the transformation? i'll give you a guided tour around it. this is the scene you first see when you walk into the room, yes you are greeted by a big roll of waddling, the perfect greeting. next the ironing board (which desperately needs a new cover) and my pretty picture wall, it'll be fun to iron now and be able to look at the pictures, which i'm sure i'll add to. the fabric closet also got a little clear-out and tidy, now who knows if it will stay like this i'm guessing no, but i'm gonna try and keep it like this. the swing table! this would be probably be the best part of the decorating, another trip to ikea and i now have a big table, i have to say it is quite a luxury, before my sewing machine sat on my cutting mat, so i had to lift it off to cut and then lift it back up to sew, i know such an inconvenience haha i also added some more cubby holes, em because i lot of crap stuff. a close-up of my pictures, each month at the fine and dandy market i would treat myself to a picture from one of the many talented exhibitors! you should really go and see for yourselves. 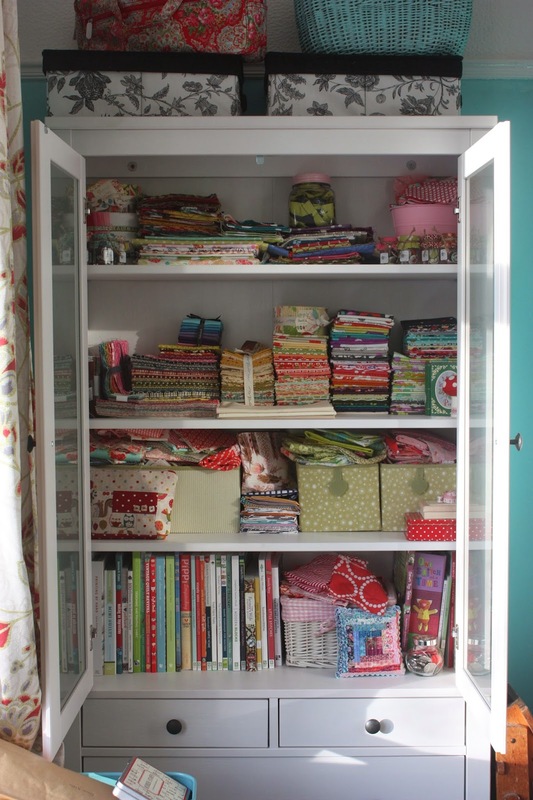 I never get bored of looking at other people's sewing rooms! You made such a fab job of yours, I'm really envious:-) And I think that chair is great - when it's recovered it's going to be bang on trend. It looks fabulous! 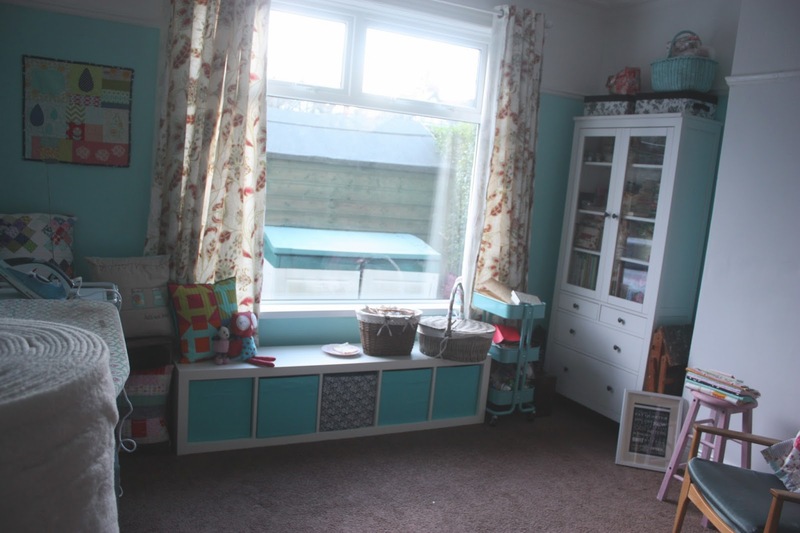 So clean and fresh and love the fabric cupboard! Great make over and I want to steal that birdie picture...along with other stuff but I'm trying not to be greedy! 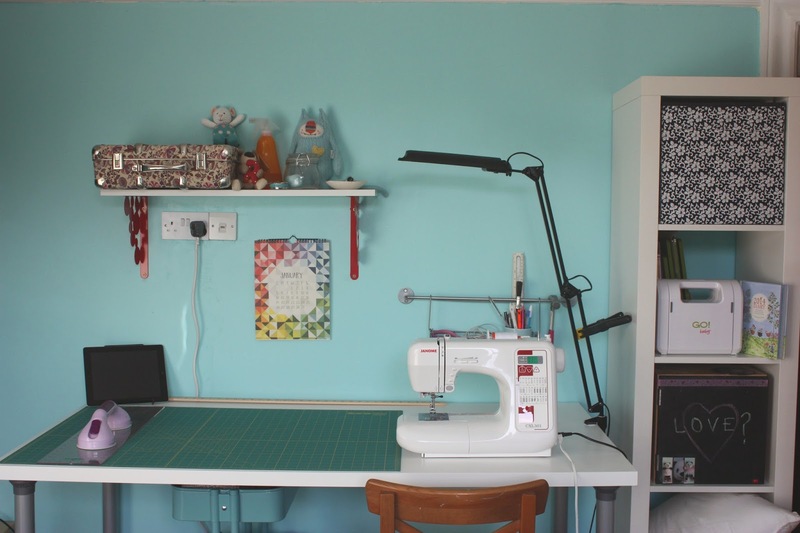 You've created a lovely sewing space and I especially like your improv mini. 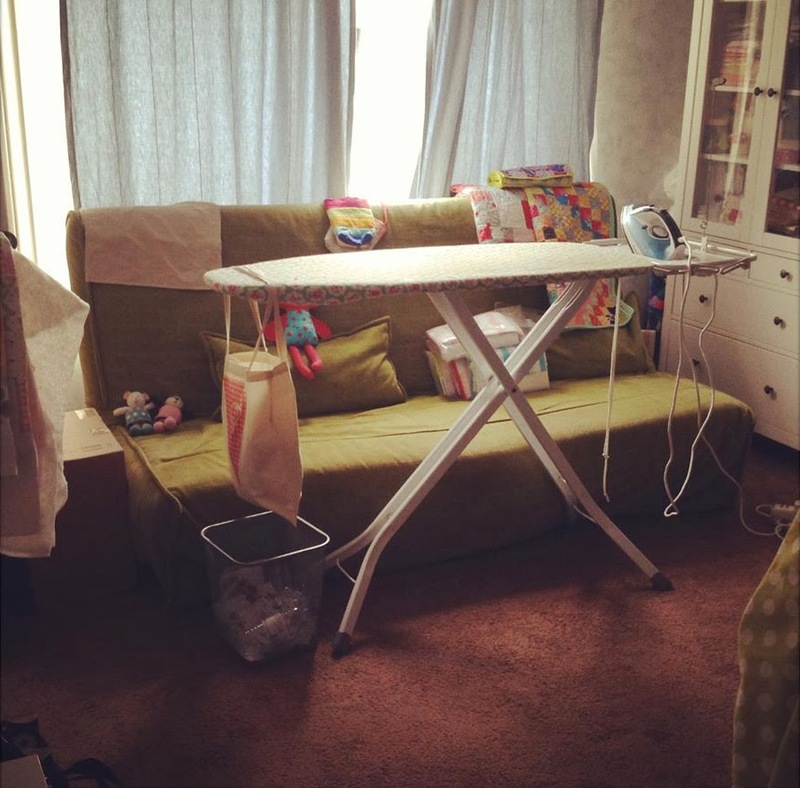 Now I'm re-imagining my own sewing room…maybe I need a trip to Ikea too! Jack Morgan is John Morgan of 71 Taverner Street, 23 yrs old and a house decorator in 1911 census. 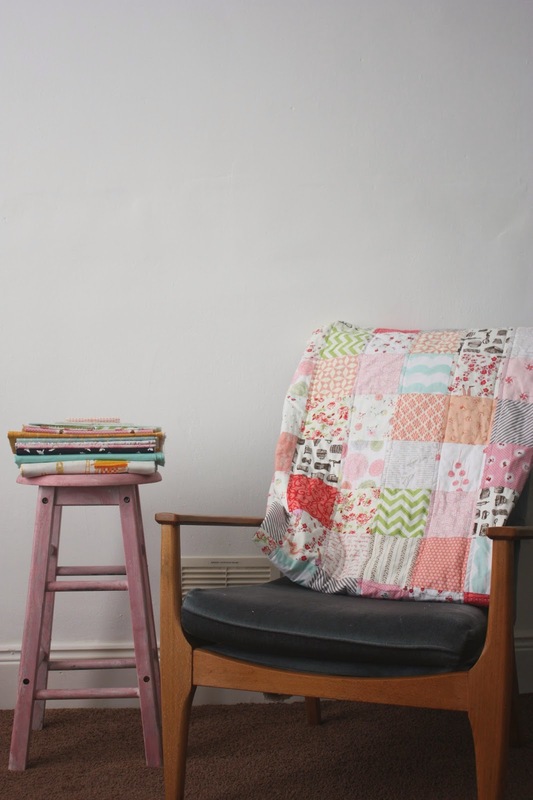 I now have fabric envy, wool envy and room envy. I think that looks absolutely fantastic! All I want in my room is skirting boards but I've been asking for two years now and they're still leaning against my design wall :S Might the bit you can't read be a street address, maybe 71 Tanner Street? Looks great! 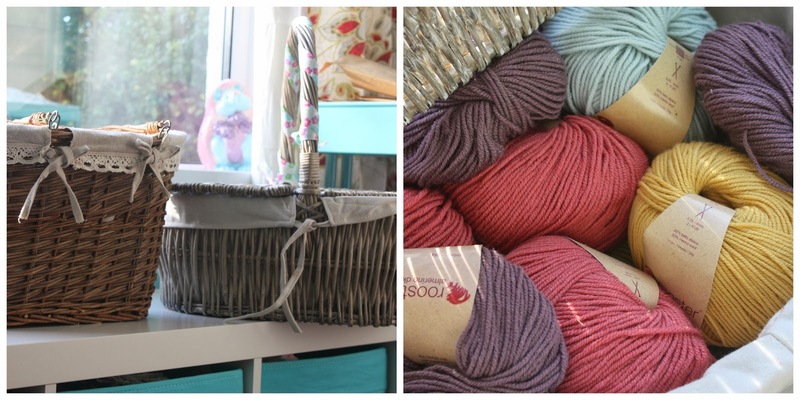 When I redid my space, I put out one large basket to receive fabrics to be shelved. It's helped me keep things in order. Any new purchases can get tossed in there. Or pieces that failed an "audition". When it starts to get full (or I have a burst of organizing energy) they are all in one place and I can sort them away. I can also see my new purchases better, which is kinda fun as well. It looks fab, worthy of Pinterest ! 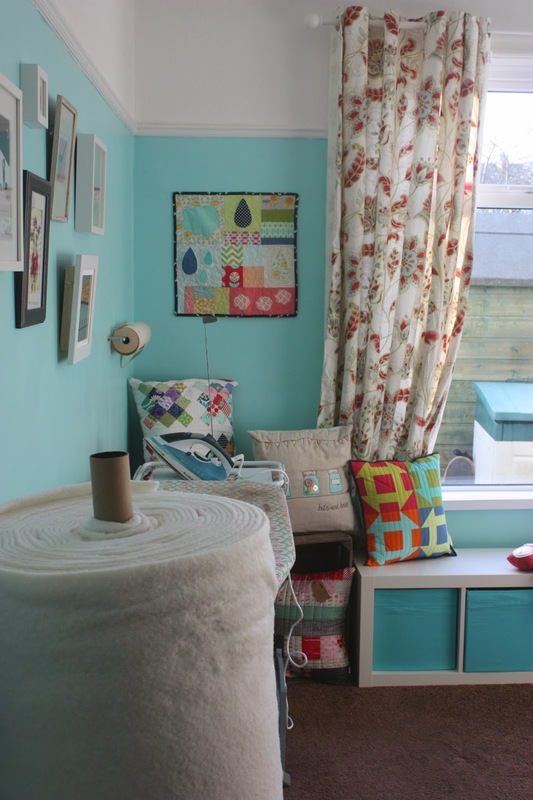 Love the room, the pretty colour aqua. Do you still live with Mum and Dad? Is that why it was called the toy room? 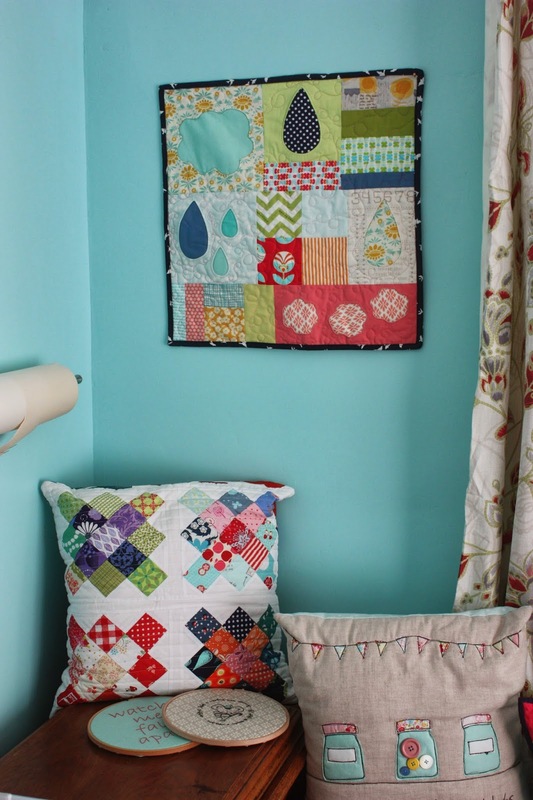 Your sewing room is gorgeous! Those ikea cubes are amazing - I have like 4 sets of them haha!! Your room makeover is looking great. I would be nervous of using aqua on a wall but it looks fabulous. I have a question regarding the desk - is it sturdy or does it vibrate when sewing? sorry forgot to ask which table top is it?